What landscape is complete without plants and trees? Even the most water-wise backyard has a few plants and trees. The right plant-life can add significant beauty to your property; but most people don’t understand what kinds of plants are appropriate for their landscape. 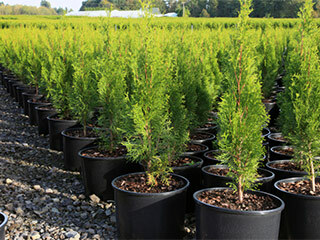 At Scapes and Stones, we help our clients choose the right kind of plantings for their property. We have worked on many garden and backyard projects throughout greater Las Vegas, NV and surrounds with great results. We have supply our clients with quality plant, trees, soil, fertilizers and other such materials, and can cater to all your landscape trees and shrubs needs. Why Purchase from a Landscaper? 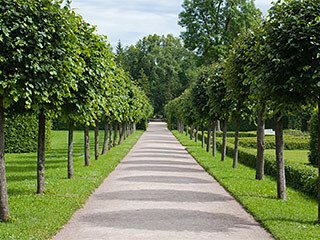 Knowledge of Landscape – We understand the grading, drainage, soil quality, and your personal preference with reference to maintenance and care; and will only recommend planting a tree if it would fit in and thrive in your entire landscaping. Knowledge of Trees and Plants – We know which trees and plants will thrive in the Arizona climate, especially in our areas of operation. You can ask us questions about plant care, maintenance, and other such aspects during the consultation. This will ensure you have the right information before you create your garden. Plant Materials – In order to thrive, plants require weed-killers, pesticides, fertilizers, etc. We have a wide inventory of products that would suit your needs. For example, you can acquire organic plant materials and fertilizers from us. We also sell mulch, topsoil, gravel, planters, pots, and other gardening essentials. It’s vital to choose good quality and healthy plants for your landscape, if you want them to grow well and last long. That, combined with proper maintenance and care, will ensure your property is green and beautiful at all times. Our experts will help you reach that goal. If you want to know more about plant materials and trees that we sell, don’t hesitate to get in touch with us at Scapes and Stones. Speak with our experts at this number 702-278-3228 and give us some more details about your project. You can also contact us through our online form and we will respond shortly.